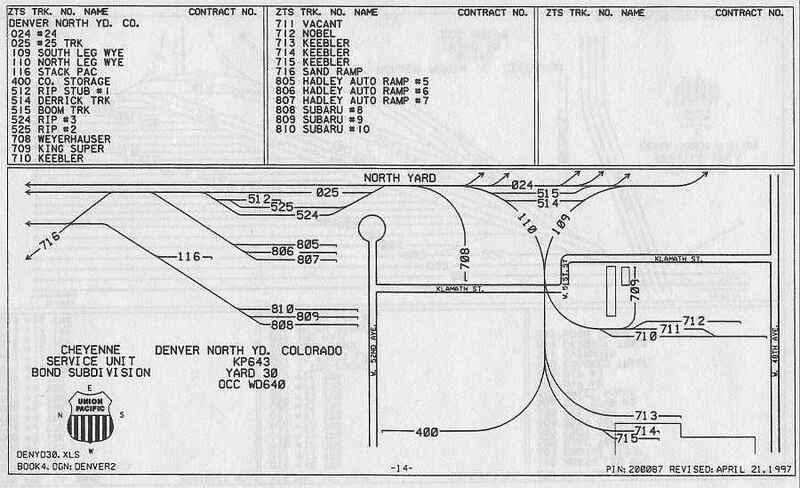 Denver North Yard Track Diagram - #4 Klamath St.
Denver's RailRoads is a website dedicated to the railroads that connected directly or indirectly with other railroads at Denver, CO. It is intended to be a one-stop source of reference material on these railroads, with an emphasis on the 1950's and 1960's period. 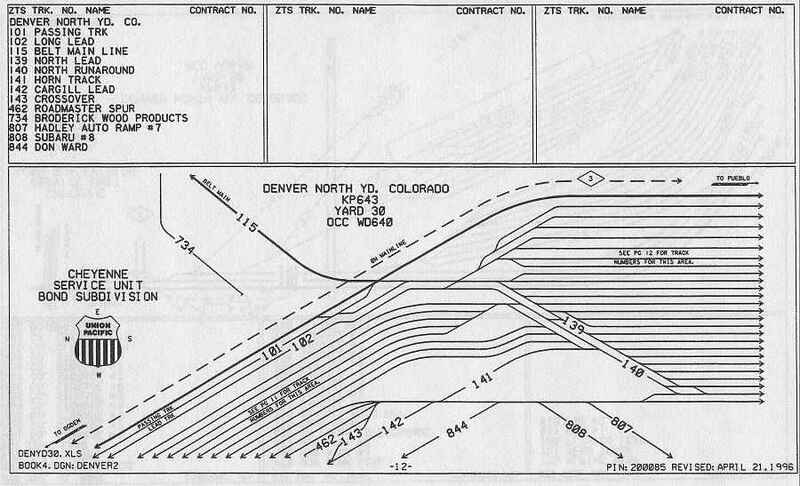 Over time it is intended to add to this site an extensive collection of photographs and videos related to Denver's RailRoads and to add reference material and links as they are found to be useful or interesting. Modelling information will also be added, especially as it relates to N Scale. 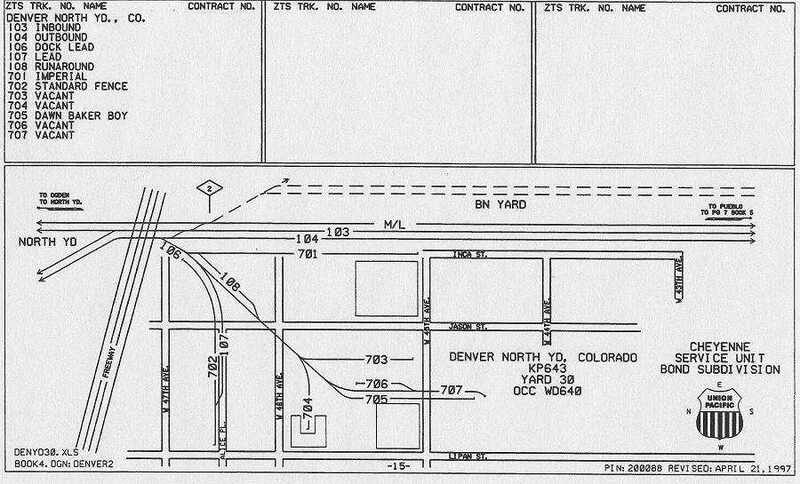 This site is owned and maintained by Dennis Turner, who is in the process of building an N scale DCC powered model layout called "Denver's RailRoads" (DR) — a 37' x 13' layout which is based on the railroads that used the Denver Union Terminal (DUT) for passenger operations from 1947 to 1962 and the freight trains that ran through Rio Grande's North Yard, the C&S Rice Yard, the CB&Q 38th Street yard and the UP 31st Street yard up ro 1966, prior to the creation of the Burlington Northern Railroad in 1970. 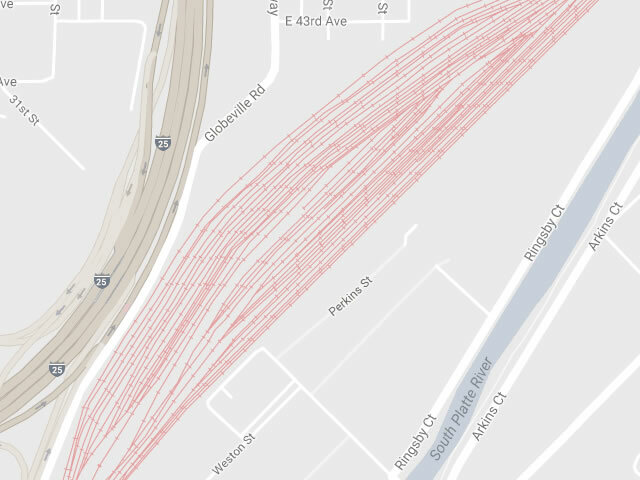 This is a map of all of the class 1 railroads that entered Denver's rail yards during the 1950s and 1960s. 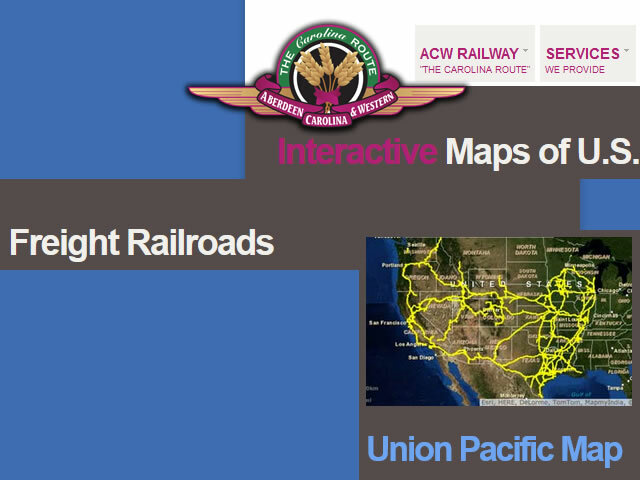 The map also shows the major towns that connect with each railroad. 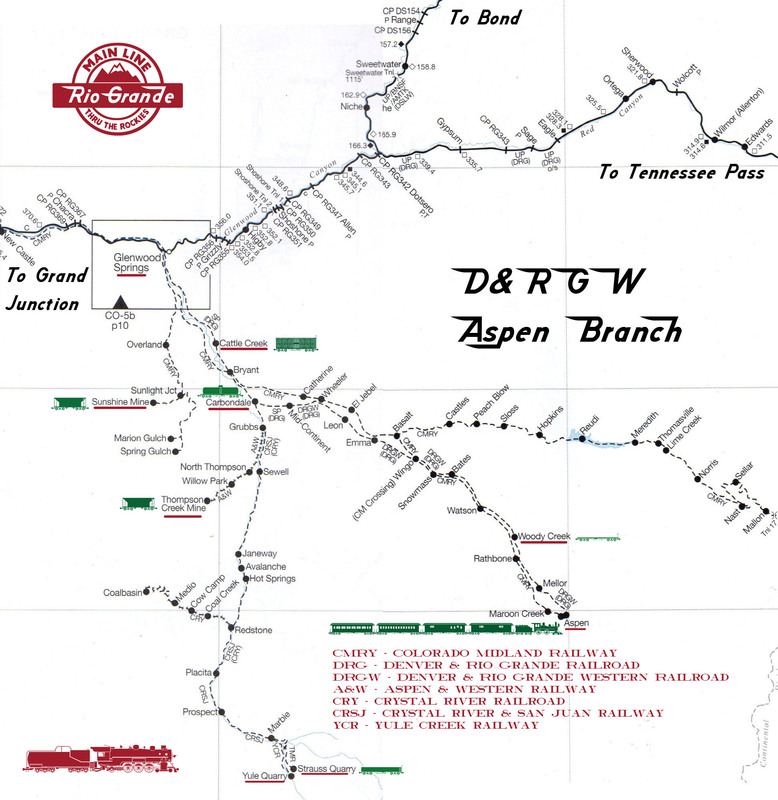 Ultimately the model layout will comprise the D&RGW line from Denver to Glenwood Springs, as well as the D&RGW branch lines to Craig and Aspen and the C&S branch line to Golden. All of the other connections shown on this map will be represented by two return loops comprising of 7 staging tracks for the West, North and North-east connections and 5 staging tracks for the South and South-east connections. 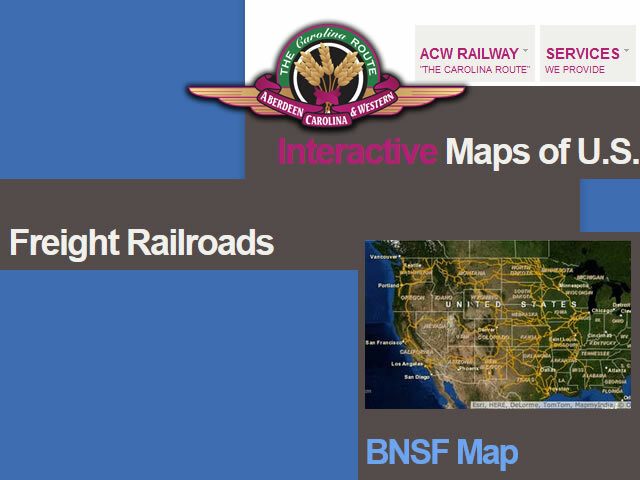 The RailRoads featured in this website are . . . The "Rio Grande" is the largest railroad in Colorado. It ran passenger trains into DUT from both the North (the Moffat line) and the South (the Joint line). 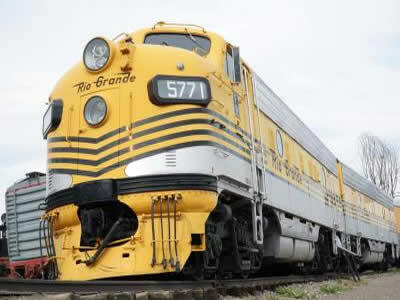 All trains terminate at DUT as the "Grande" does not run any through trains. The Denver & Rio Grande Railway (D&RG) was incorporated on October 27, 1870 and built west from Pueblo reaching Grand Junction in March 1883, which completed a narrow gauge transcontinental link with the Rio Grande Western Railway to Salt Lake City, Utah. 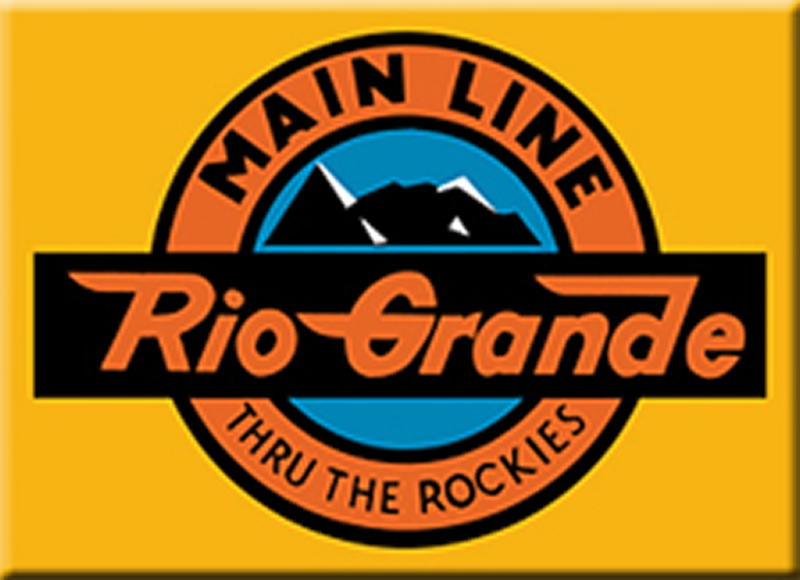 In 1901 D&RG merged with the Rio Grande Western, consolidating in 1908. 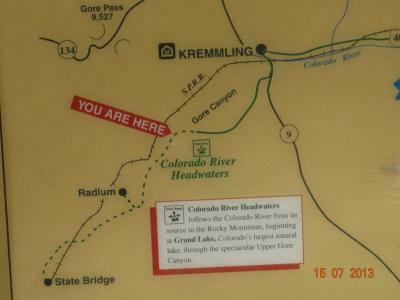 In 1932, the D&RGW began construction of the Dotsero Cutoff east of Glenwood Springs to near Bond on the Colorado River. 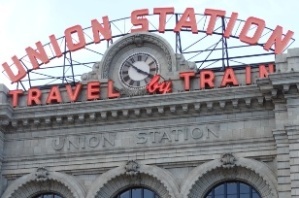 Construction was completed in 1934, giving Denver a direct transcontinental link to the west. 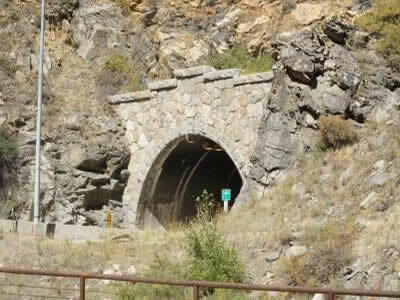 The D&RGW merged with the D&SL on March 3, 1947, gaining control of the "Moffat Road" through the Moffat Tunnel and a branch line from Bond to Craig, Colorado. The UP was one of the six railroads, along with D&RGW, C&S, CB&Q, AT&SF and CRI&P, that built and owned the DUT in 1912. 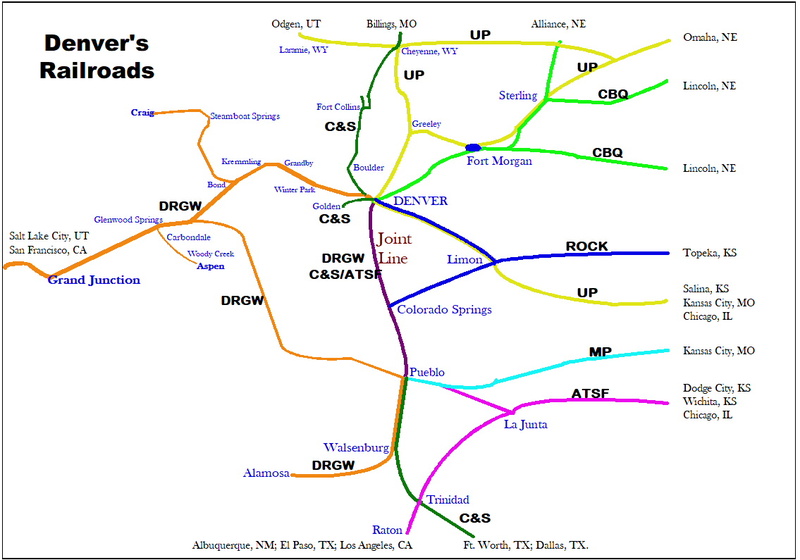 The UP enters Denver via Cheyenne in the North and North Platte (via CB&Q trackage rights) and Abilene in the East. UP was incorporated on July 1, 1862. The line was constructed westwardly from Council Bluffs, Iowa to meet the Central Pacific line, which was constructed eastwardly from San Francisco Bay. 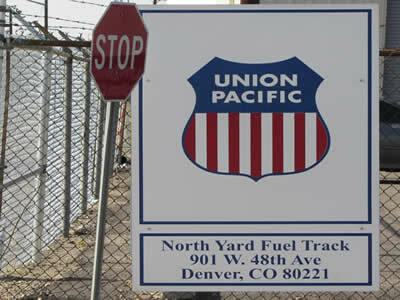 Subsequently UP took over three Utah roads and built or absorbed local lines that gave it access to Denver and to Portland, Oregon, and the Pacific Northwest. 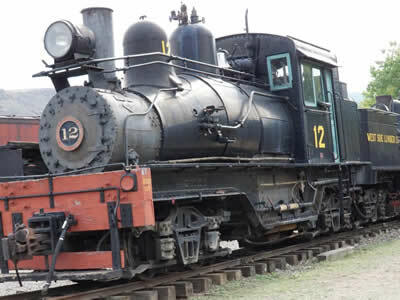 It also owned narrow gauge trackage into the heart of the Colorado Rockies and a standard gauge line south from Denver across New Mexico into Texas. In 1847 the Rock Island & La Salle Railroad Company was chartered to build between Rock Island, Illinois, on the Mississippi River, and La Salle, where connections would be made with the Illinois and Michigan Canal to Chicago. By 1887 the "Rock Island" had reached the southern border of Kansas and by 1889 the it had built west across northern Kansas and Colorado to Colorado Springs. Rock Island made arrangements to use D&RGW track north of Denver and south to Pueblo and later in 1899 Rock Island began using UP tracks from Limon, Colorado to Denver. The Rock Island began Chicago-Colorado service via Omaha on August 16, 1891, and later built its own line west of Lincoln. 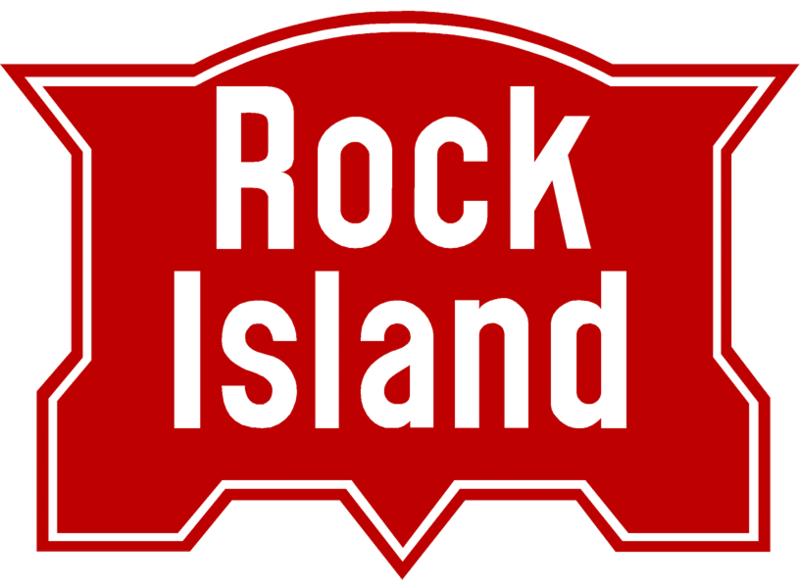 Also in 1891, the Rock Island acquired the CK&N. Subsidiary Chicago, Rock Island & Texas reached Fort Worth in 1893. On July 4, 1851, at St. Louis, ground was broken on the Pacific Railroad, the predecessor of the Missouri Pacific Railroad. The first section of track was completed in 1852 but construction was interrupted by the American Civil War. In 1872, the Pacific Railroad was reorganised as the Missouri Pacific Railway. Eventually the system would own 11,469 miles of rail line over 11 states bounded by Chicago to the east, Pueblo, Colorado, in the west, north to Omaha, south to the U.S.-Mexico border in Laredo, Texas, and southeast along the Gulf seaports of Louisiana and Texas. Its passenger train, the Colorado Eagle, entered Denver from Pueblo along the Joint Line with a D&RGW crew. 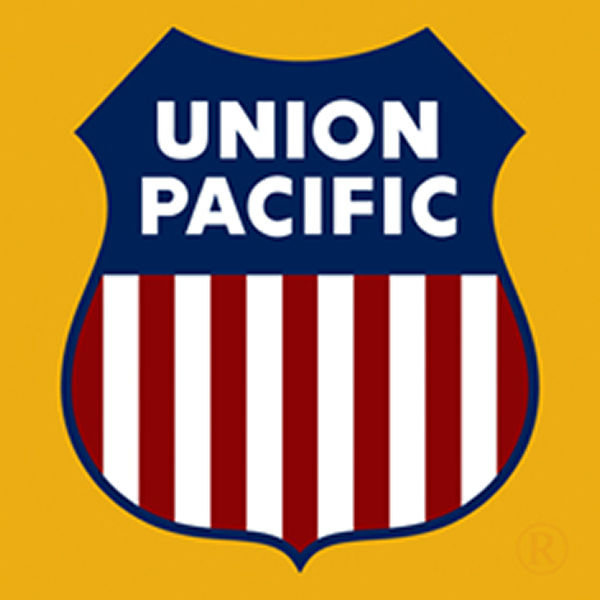 The Southern Pacific was an American Class I railroad founded as a land holding company in 1865, It later acquired the Central Pacific Railroad by lease. By 1900 the Southern Pacific Company was a major railroad system incorporating many smaller companies, such as the Texas and New Orleans Railroad and Morgan's Louisiana and Texas Railroad. It extended from New Orleans through Texas to El Paso, across New Mexico and through Tucson, to Los Angeles, through most of California, including San Francisco and Sacramento. Central Pacific lines extended east across Nevada to Ogden, Utah, and reached north through Oregon to Portland. Other subsidiaries eventually included the St. Louis Southwestern Railway (Cotton Belt), the Northwestern Pacific Railroad at 328 miles (528 km), the 1,331 miles (2,142 km) Southern Pacific Railroad of Mexico, and a variety of 3 ft (914 mm) narrow gauge routes. In 1929 SP/T&NO operated 13848 route-miles not including Cotton Belt. 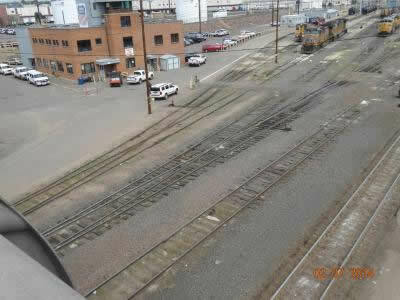 The SP line terminated at Salt Lake City, Utah but its trains frequently entered Dener's North Yard under D&RGW control. 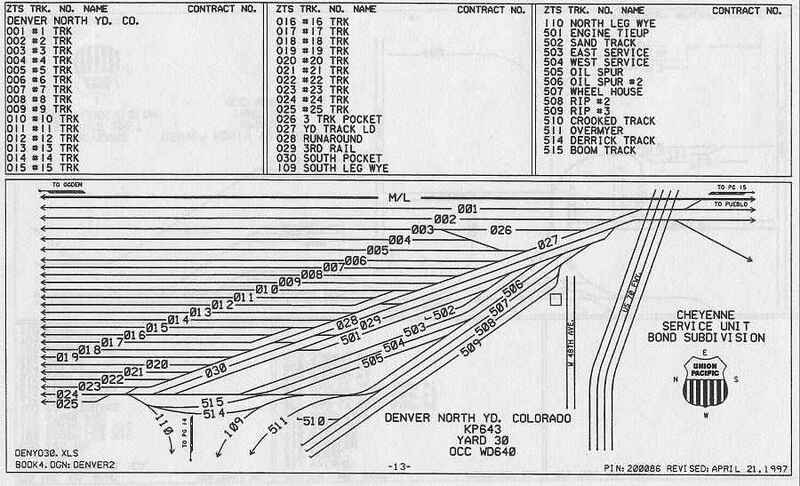 In 1988 the SP was acquired by the D&RGW and both roads in 1996 by the Union Pacific. The "Burlington" enters Denver from Lincoln, KS., in the North, on a line that was first built in 1882 from Burlington, Iowa. It also runs trains from the South via the Joint line with AT&SF. The earliest predecessor of the CB&Q was the Aurora Branch Railroad, chartered on February 12, 1849 to build a line from Aurora, Illinois, to a connection with the forerunner of the Chicago & North Western Railroad at Turner Junction, West Chicago. 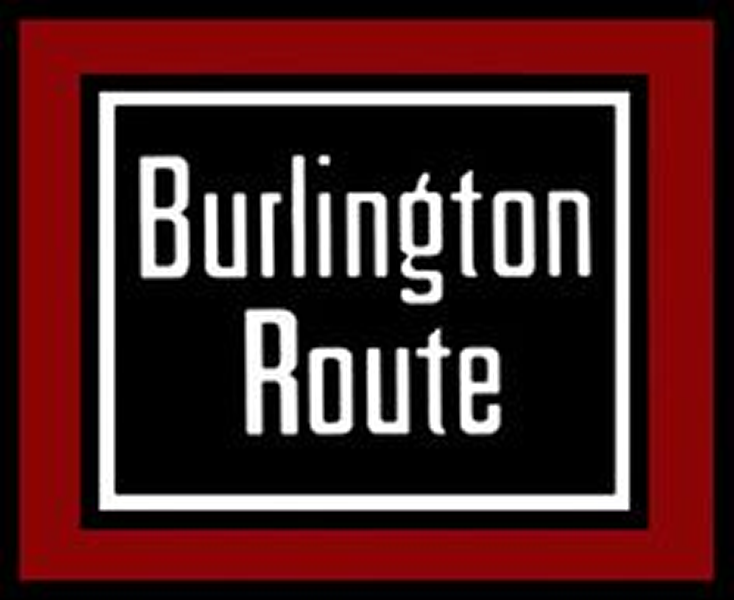 On February 14, 1855, it was renamed the Chicago, Burlington & Quincy Railroad (CB&Q). That same year, a railroad was opened between Galesburg and the east bank of the Mississippi River, opposite Burlington, Iowa; a year later, a string of railroads, including the CB&Q, linked Chicago with Quincy, Illinois, via Galesburg. By 1865, the CB&Q had acquired all these lines and built its own line from Aurora to Chicago. On July 1, 1901, Northern Pacific Railway (NP) and the Great Northern Railway (GN) purchased 97% of its stock but it took another 69 years to achieve the Burlington Northern merger. 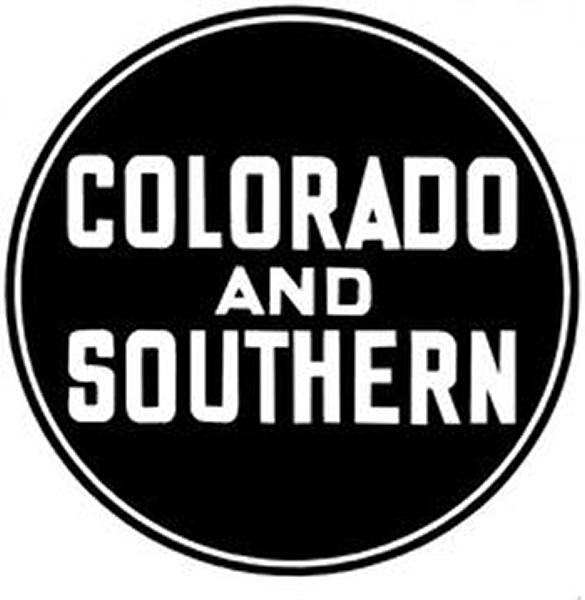 Meanwhile, in January 1909, the CB&Q acquired control of the Colorado & Southern Railway (C&S) gaining a route from Denver to the Gulf of Mexico at Galveston, Texas, and a route from Denver north into Wyoming. CB&Q extended a line down from Billings, Montana, to meet the C&S in 1914. 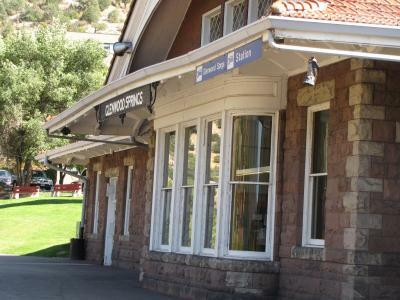 C&S is the successor to Colorado's first railroad, the Colorado Central and began operations on January 11, 1899. 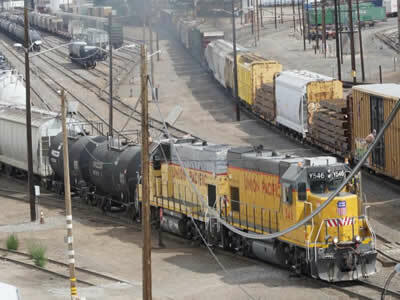 The C&S line, south from Denver, stretches 347 miles down the Joint line thru Trinidad to Sixela, NM., where it connects with its subsidiary, Fort Worth & Denver (FW&D), for a further 470 miles to Dallas-Forth Worth. 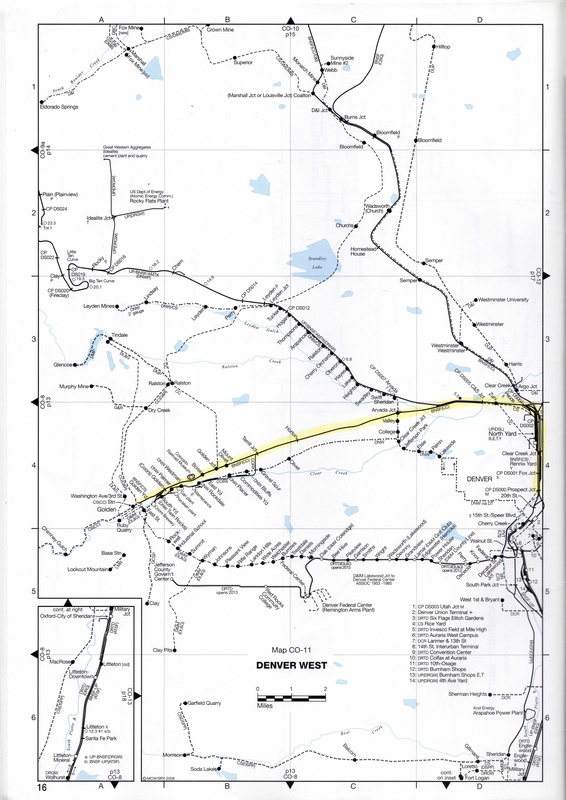 The 241 mile C&S line, north from Denver thru Cheyenne to Wendover, WY. 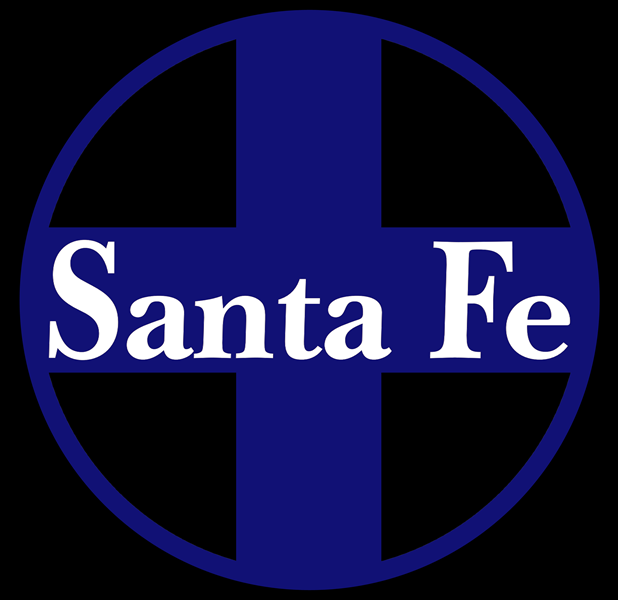 Santa Fe was chartered on February 11, 1859, to join Atchison and Topeka, Kansas, with Santa Fe, New Mexico. Much of its early revenue came from wheat grown in Kansas and from cattle driven north from Texas to Wichita and Dodge City. 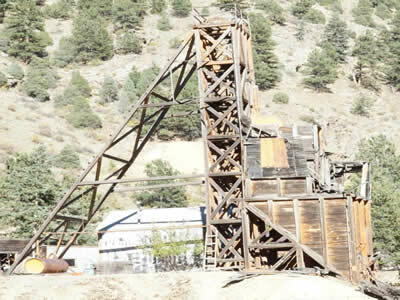 Rather than turn its survey southward at Dodge City, AT&SF headed southwest over Raton Pass because of coal deposits near Trinidad, Colorado and Raton, New Mexico. Santa Fe built its own line to Denver, reaching there on Oct. 1, 1887. The first Joint Line Contract was signed between C&S and the ATSF on April 1, 1900, giving the district its new Joint Line name. Due to competitive rivalries the D&RG was not a part of the "Joint Line" agreement. 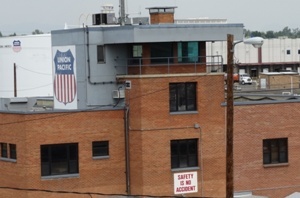 During World War I, America's railroads were taken over by the United States Railroad Administration. 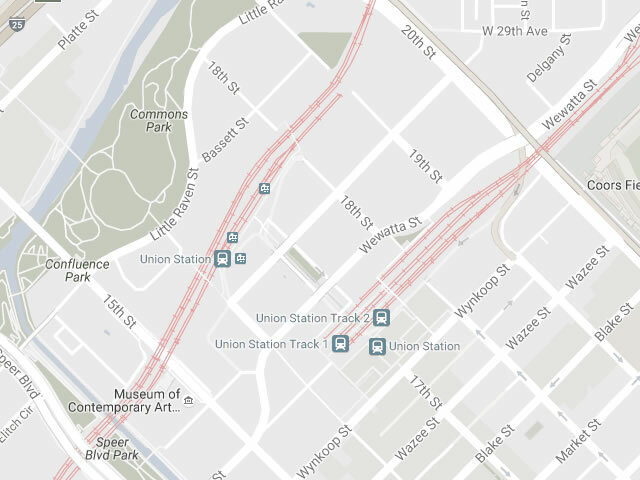 The USRA decided there should be one track for northward trains, one track for southward trains. AT&SF reached Albuquerque in 1880; Santa Fe, the original destination of the railroad, found itself on a short branch from Lamy, New Mexico. In March 1881 AT&SF connected with the Southern Pacific (SP) at Deming, New Mexico, forming the second transcontinental rail route. The railroad then built southwest from Benson, Arizona, to Nogales on the Mexican border where it connected with the Sonora Railway, which the AT&SF had built north from the Mexican port of Guaymas. 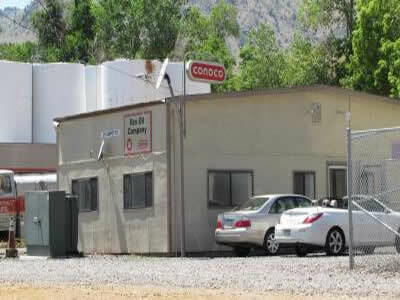 The D&I was owned by C&S and was incorporated on September 10, 1904. 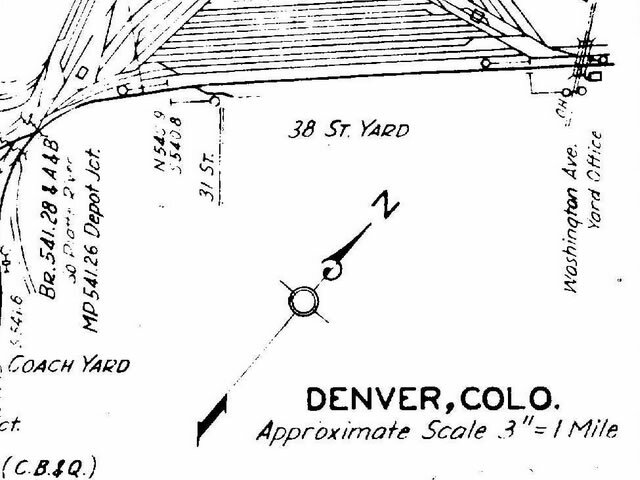 The line ran from platform 11 of DUT to Boulder, CO., along what was known as the "Kite Line", because of the shape of its route. 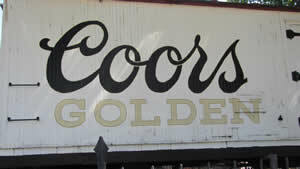 It was closed on January 12, 1927. The Western Pacific Railroad was a Class I railroad formed in 1903 as an attempt to break the near-monopoly the Southern Pacific Railroad had on rail service into northern California. 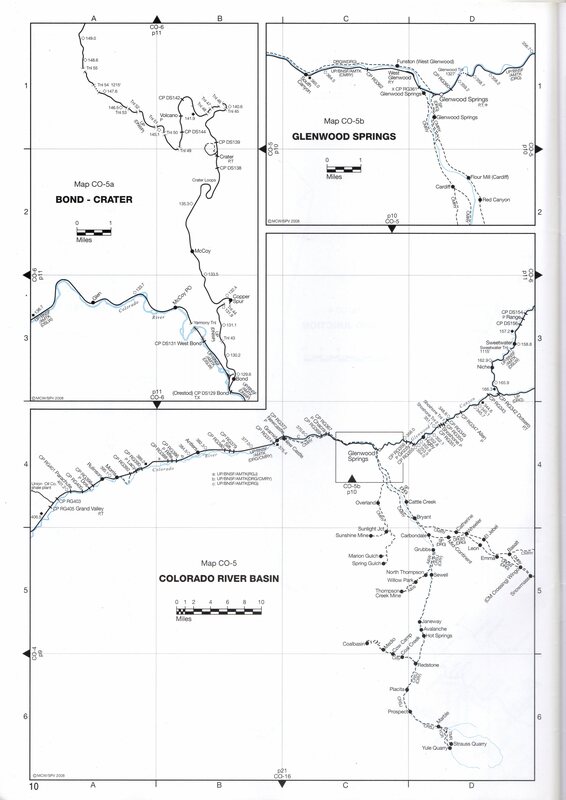 WP's Feather River Route directly competed with SP's portion of the Overland Route for rail traffic between Salt Lake City/Ogden, Utah and Oakland, California for nearly 80 years. Under the direction of George Jay Gould I, the WP was founded to provide a standard gauge track connection to the Pacific Coast for his aspiring Gould transcontinental system. 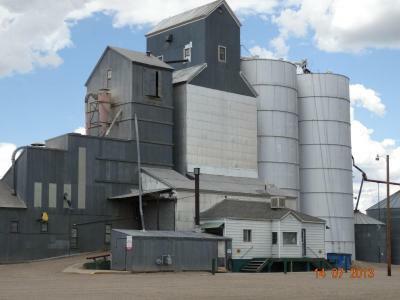 The construction was financed by the Denver and Rio Grande Western Railroad, a company in the Gould system at that time. The WP acquired the Alameda and San Joaquin Railroad and began construction on what would become the Feather River Route. In 1909 it became the last major railroad completed into California. In 1931 WP opened a main line north from the Feather River Canyon to the Great Northern Railway in northern California. 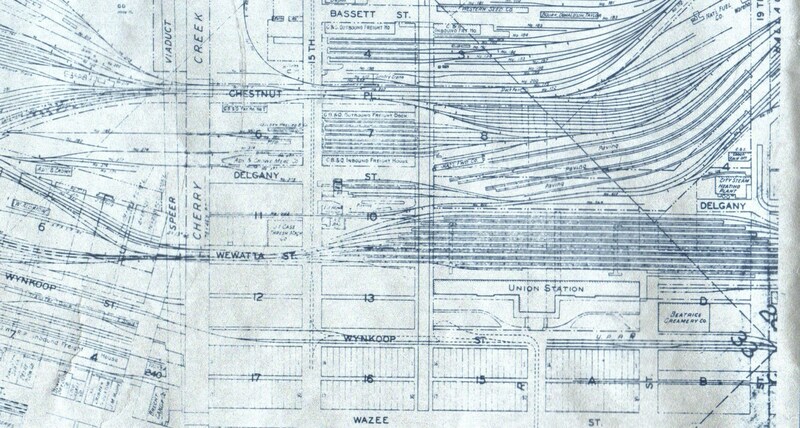 This route, the "Highline", joined the Oakland – Salt Lake City main line at the Keddie Wye, a unique combination of two steel trestles and a tunnel forming a triangle of intersecting track. In 1935, the railroad went bankrupt because of decreased freight and passenger traffic caused by the Depression and had to be reorganized. 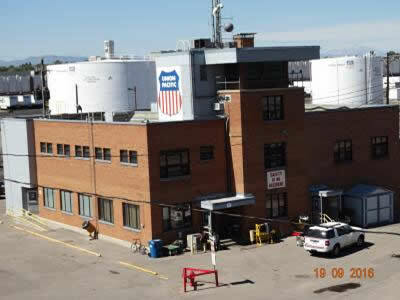 In 1983 the WP was acquired by the Union Pacific Railroad. Quickly find the photo group you are looking for . . .
And then there is our local content . 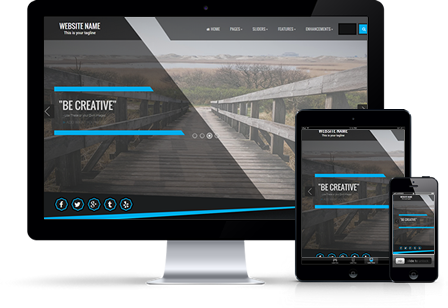 . .
which can be reached by clicking on the " This Site" menu option above. 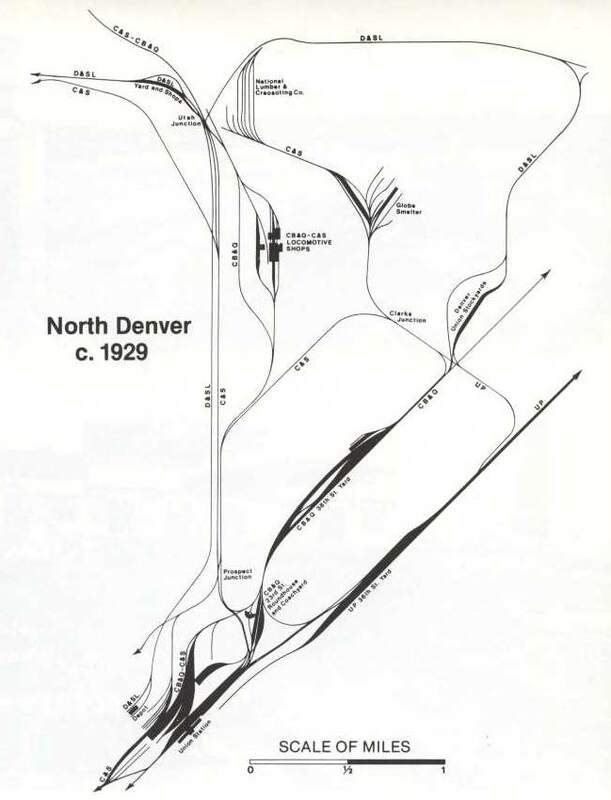 I have a large library of maps and track diagrams relating to Denver's Railroads. You will find the complete list by clicking on the "This Site" menu item above. 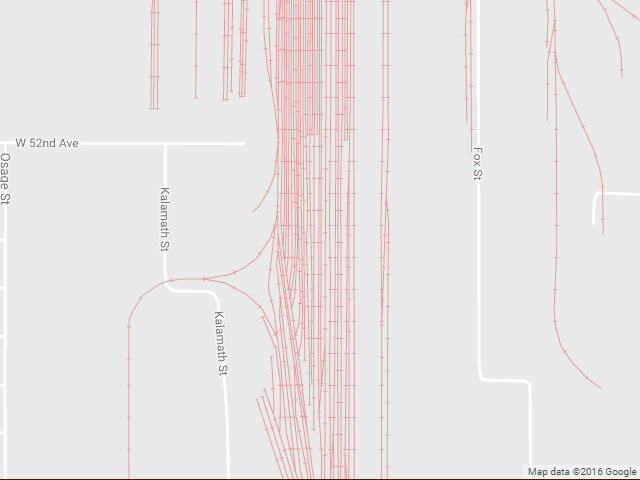 In particular if you click on the D&RGW logo you will go to a unique Google map of Denver showing all of the rail lines in Red. 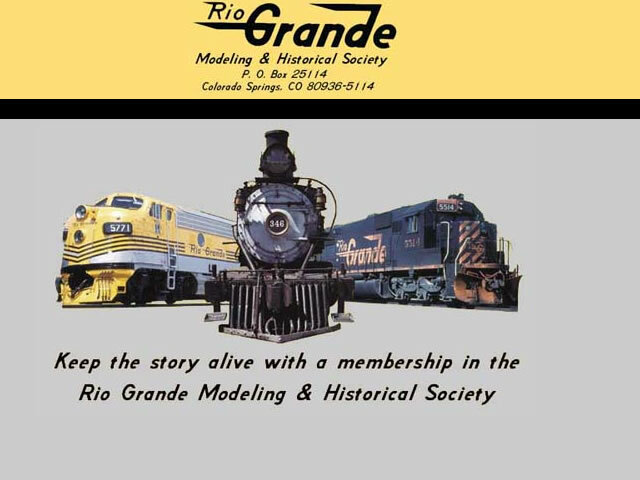 I have an extensive library of modeling books, mainly from Klamath Publishing Company, covering most aspects of railroad modeling and a large number of prototype books covering Denver's RailRoads.They are all listed on these pages, together with a short book review, or a list of chapters in the book. This is an on-going list of topics covered by Model Railroader magazine since January 2010 and other publications, including our modeling books. For information relating to Model Railroader magazines from 1934-2009 see the MR 75 years DVD collection. This is a blog of our progress with Phase I of the Denver's RailRoads Layout. 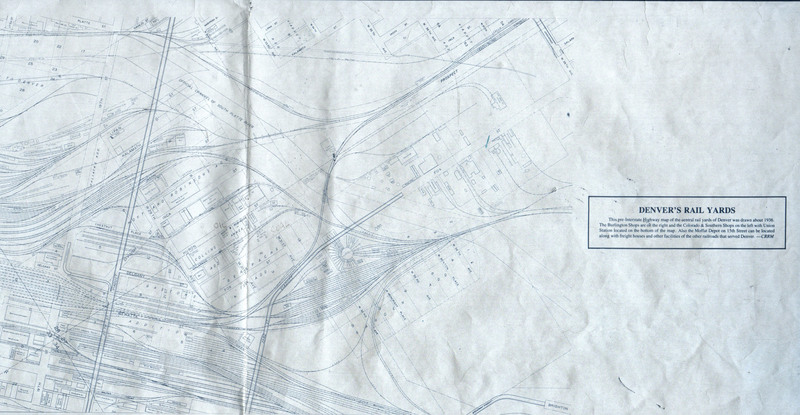 It contains track diagrams and photos. This is a blog of our progress with Phase II of the Denver's RailRoads Layout. It contains track diagrams and photos. This is a blog of our progress with Phase III of the Denver's RailRoads Layout. It contains track diagrams and photos. Over the last 30 years I have been collecting N Scale models to run on my layouts and I have found that many of the over 2000 models collected do not fit into the 1950's and 1960's "Denver's RailRoads" theme and are being offered for sale. All are still in their original boxes and most have never been run. Many of the items are Micro-Trains models that are now no longer available from hobby shops, There are also a number of Atlas and Athearn models that are no longer available. In addition I have a collection of models put out by N Scale Enthusiast (previously N Scale Collector) either as a special run or as a "gift" car for membership or attendance to one of their conventions. These items are either Micro-Trains or Atlas models and are very rare and often highly sort after by collectors. 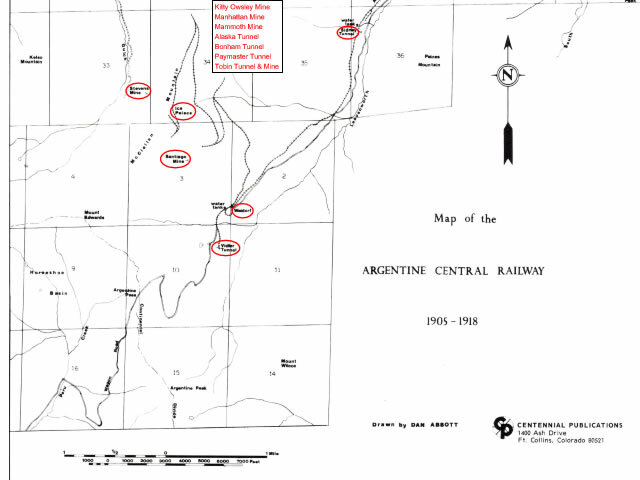 Map of the Argentine Central Railway from Silver Plume to Mount McClellan showing the locations of some mines and the names of all of the know mines in the region. 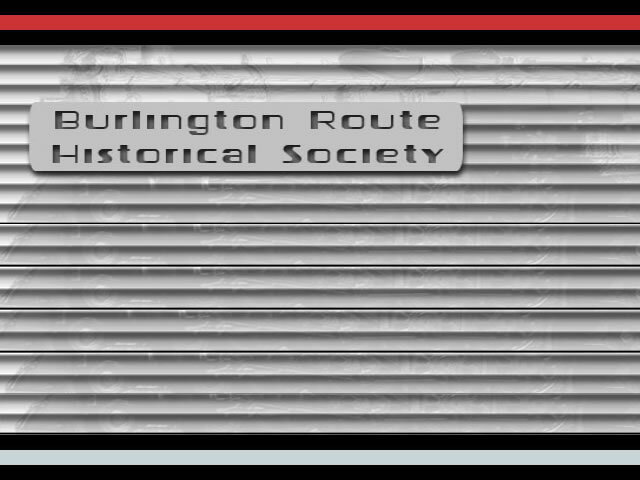 The Burlington Route Historical Society's membership consists of a diverse group of historians, collectors, railfans, photographers, modelers and railroad employees who have banded together to share one common interest, the Chicago, Burlington and Quincy Railroad; its two affiliates, the Colorado & Southern and the Fort Worth & Denver; and their predecessors. 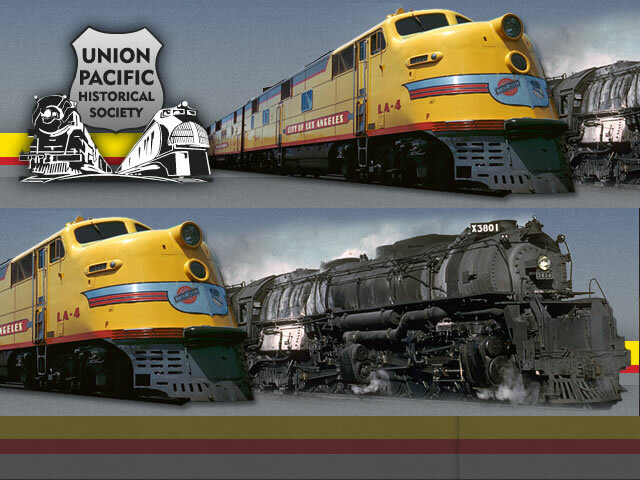 The Union Pacific Historical Society was founded in 1984 as an independent, non-profit organization dedicated to preserving and sharing the history of the Union Pacific Railroad. 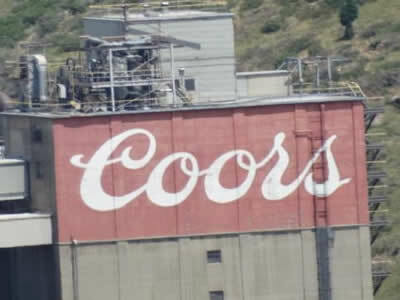 Google Map of Coors Yard, Golden, CO. 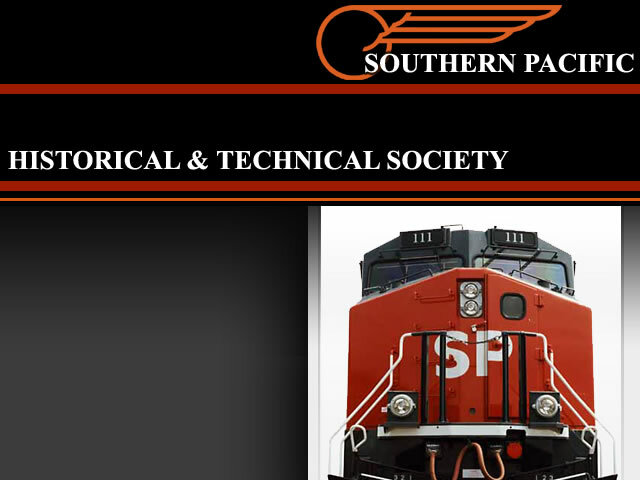 The Southern Pacific Historical & Technical Society is dedicated to preserving and disseminating the historical record of the Southern Pacific Railroad and its affiliates. 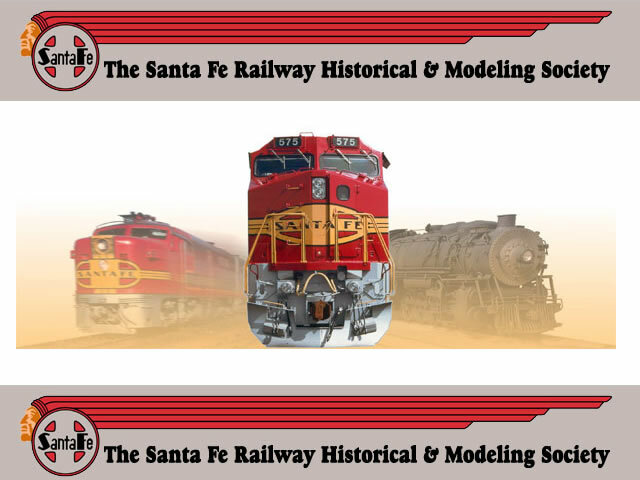 The Society supports railfanning, industrial archeology and accurate scale modeling of this great pioneer railroad of the western United States. 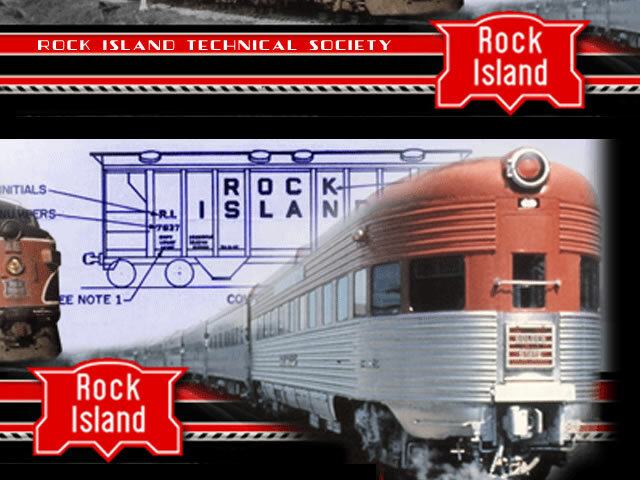 This is the web site of The Rock Island Technical Society. The Missouri Pacific Historical Society, Inc. was organized as a not-for-profit corporation in 1980. 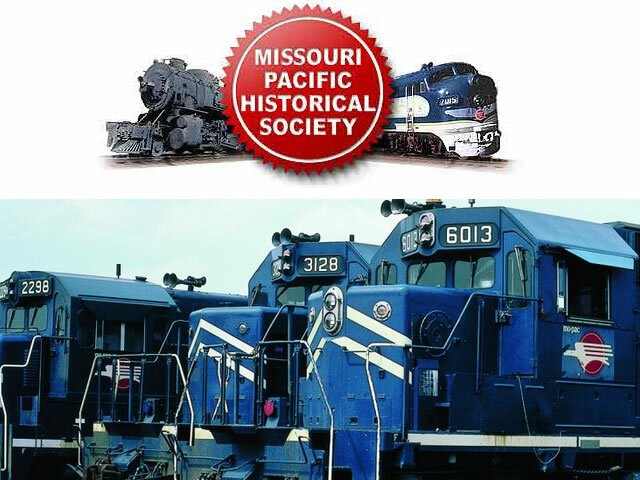 The society's area of interest includes not only the Missouri Pacific Railroad, past to present, but its predecessor railroads. 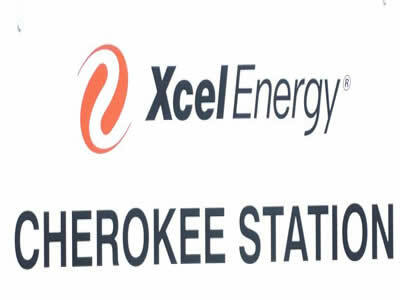 These include but are not limitied to Texas & Pacific; Chicago & Eastern Illinois; St. Louis, Brownsville and Mexico; International Great Northern; Gulf Coast Lines; St. Louis, Iron Mountain and Southern; New Orleans, Texas and Mexico; Missouri-Illinois. 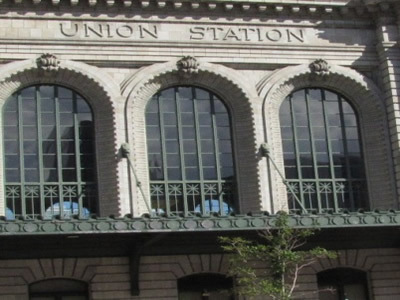 Google Map of Union Station, Denver, CO.
FRIENDS OF THE BURLINGTON NORTHERN RAILROAD. 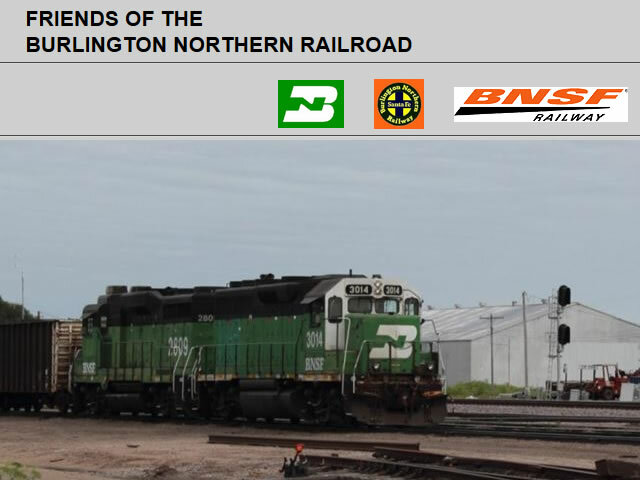 The Historical Society focused on the Burlington Northern Railroad, the Burlington Northern and Santa Fe Railway and the BNSF Railway. 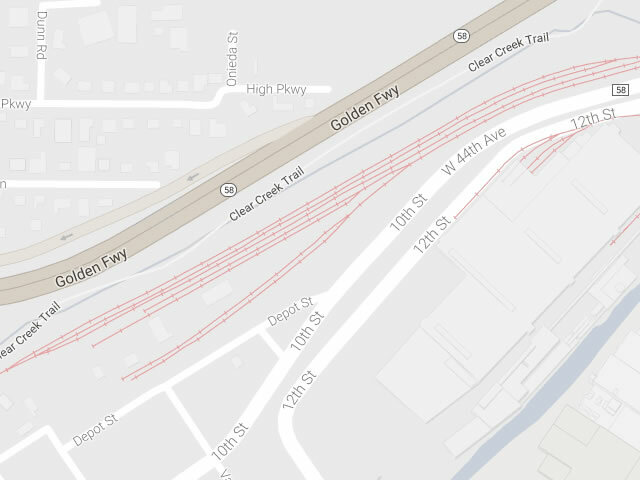 Google Map of D&RGW North Yard, Denver, CO. Copyright 2012-2018. Dennis N Turner. All Rights Reserved.